This chia seed jam is a healthy easy alternative to conventional jam. It's made with fruit, chia seeds, honey and lemon juice, and ready within 15 minutes! Chia seeds are some of my favorite superfoods to use in recipes. I love using them in smoothies, pudding and even overnight oats. And my recent favorite thing is to make homemade chia seed jam. 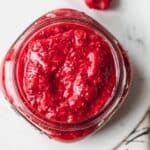 The cool thing about this recipe is that you don’t need gelatin, pectin, citric acid or refined sugar, which you’ll usually find in traditional jam. 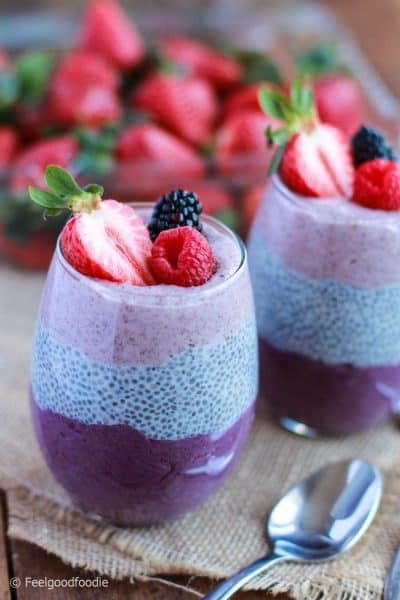 All you need is your favorite berries and some chia seeds essentially! And what happens is the chia seeds absorb the liquid from the fruits and help to thicken the mixture to make it look like a jam. They basically turn from seeds to a gel-like substance by absorbing liquid. 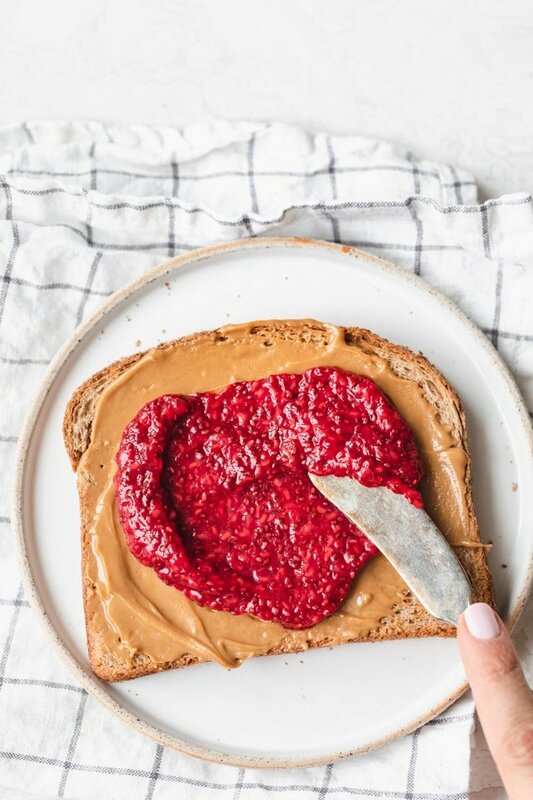 Then you can spread the jam on some toast with peanut butter or enjoy it any way you’d normally enjoy jam! I bet you already know what I’m going to say and that’s heck yes! 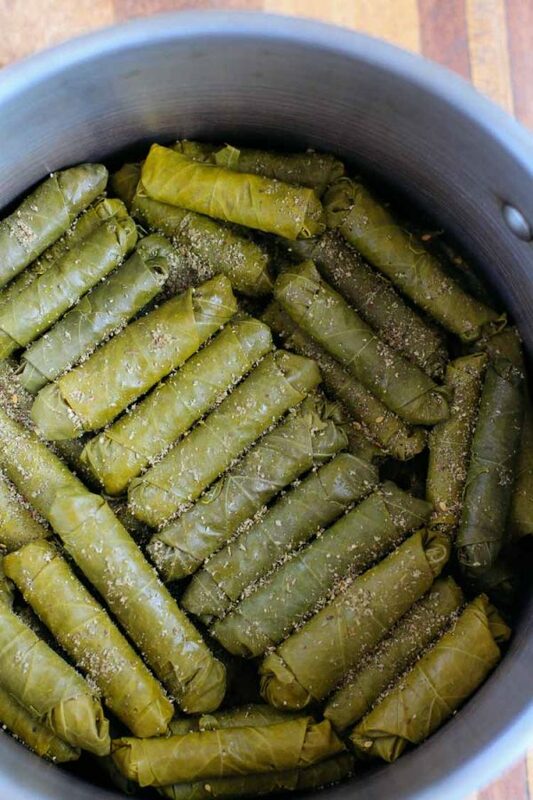 They are a popular superfood because of all their amazing benefits. Chia seeds are an excellent source of omega-3 fatty acids, contain about 6 grams of protein in one ounce and 11 grams of fiber. That’s the trifecta benefits of the healthiest foods you can put in your body to feel good! Chia seeds are loaded with cancer-agent fighting antioxidants, which means they are great to include in your diet everyday. Almost all the carbs in chia seeds are fiber. There are 12 grams of carbohydrates in each ounce, but there are also 11 grams of fiber! You can do the math 🙂 Chia seeds are low-carb, so they are excellent for giving you energy! So yes, you could buy really healthy jam nowadays at the store and save time. But this chia seed jam recipe is an excellent way to add chia seeds to your meals and snacks in new creative ways. That way, you can reap all its amazing health benefits. 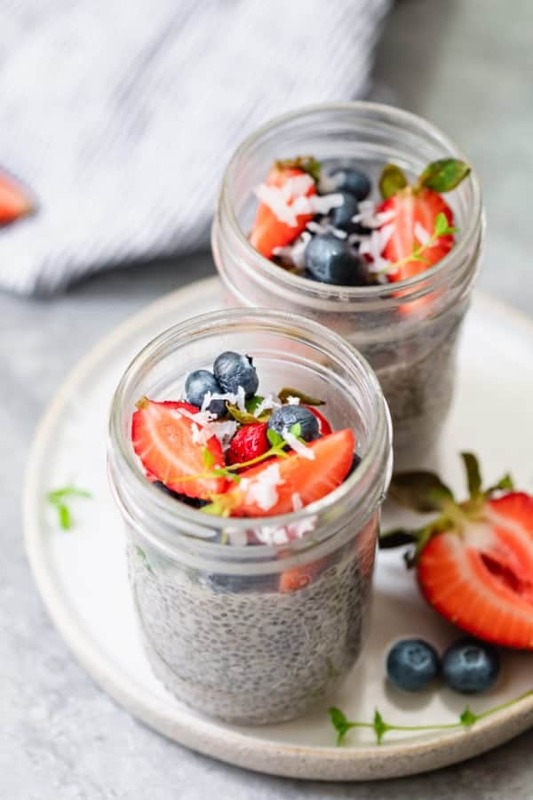 I’m all about chia seed recipes! Start with any type of berry or combination of berries. Then heat the berries under medium heat and you’ll notice them slowly start to dissolve. The heat naturally dissolves them and releases water in the process. You can use fresh or frozen. If you use frozen berries, you’ll need to add more time for the berries to thaw under the heat. While the berries are breaking down, you can also mash the berries for a smoother jam, but it’s optional. Next, add the chia seeds. I like to start with 2 tablespoons of chia seeds and then add more as needed depending on the water content of the fruit. Remember it will continue to get thicker as it cools and as it sets in the fridge afterwards. Essentially you’re done cooking the chia seed jam with just those two ingredients. But like traditional jam, it helps to round out the flavors by adding some acidity and sweetness. So add some lemon juice and honey or maple syrup and even a touch of vanilla extract if you’d like. Give it time to set in the saucepan for a few minutes without any heat and then transfer it to a jar. You’ll notice there’s no need for pectin or sugar to thicken the jam. 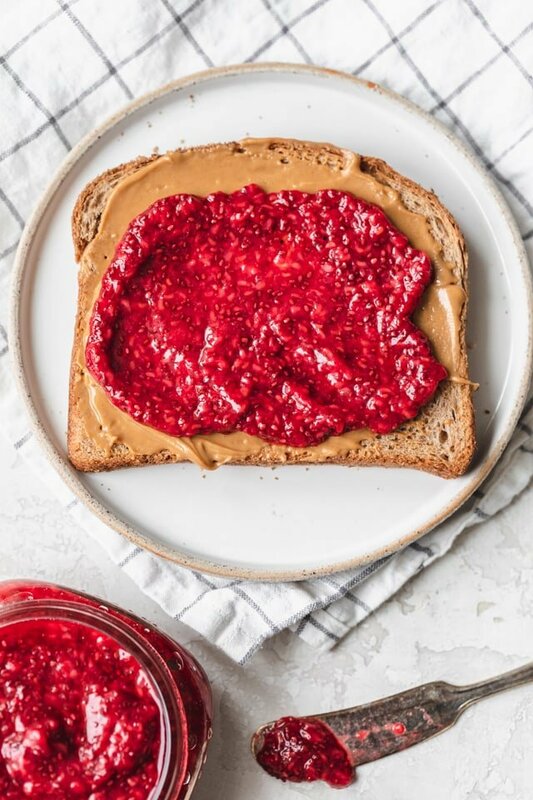 The chia seeds did all the work to absorb the juice from the raspberries and turn out four ingredients into a homemade jam! You can enjoy it immediately or let it set even more and cool in the fridge. The recipe yields about 6-8 fluid ounces and you can enjoy it for up to 10 days. What does chia jam taste like? To me, it tastes like regular jam honestly. It’s a little less sweet since we’re not relying on all the sugar to help set the jam. In fact you can put as much or as little honey/maple syrup as you’d like to get the sweetness level you like. However, the consistency is a little different. It has a sauce-like consistency and it’s not as sturdy and compact as traditional store-bought jam. In the end though, it still works just as well as regular jam. 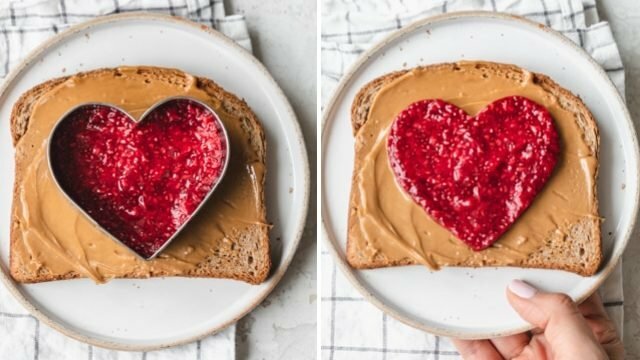 And since it’s the weekend before Valentine’s Day, I thought it would be cute to make some peanut butter jelly toast using our chia seed jam. I used a stencil for the heart shape and you can see that the jam is thick enough to stay put where I used the stencil. This is such a cute option for a Valentine breakfast! To make this quicker, you can use fresh or frozen fruit mashed together with the chia seeds, lemon and maple syrup. You can actually skip the heating process of the fruit. If you do this, the jam will be more loose and syrupy, but it still works. 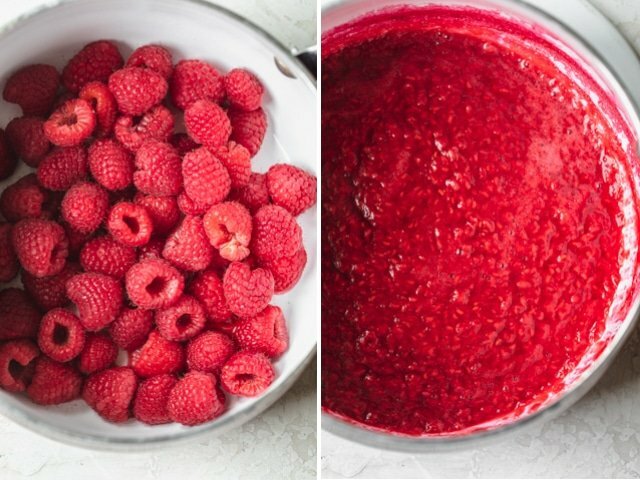 If you prefer to use frozen fruit, you’ll just need to simmer the mixture for a few minutes longer to release all the liquid from the frozen berries. But it works perfectly fine and you’ll get the same consistency as you would using fresh berries. 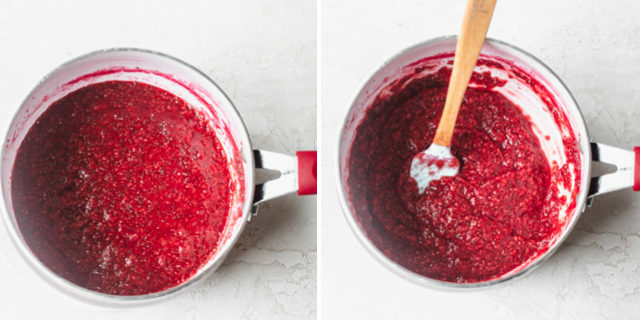 For smoother jam consistency, you can puree the completed jam mixture in a blender. This helps to eliminate any visible chia seeds, which is great if you have any chia seed jam skeptics in your house. To use fruits other than berries, you’ll need to add more water to the mixture. It’s important that the chia seeds have enough liquid to absorb and become gel-like. I have only tried this recipe with berries, and that’s the most popular method of making chia seed jam. But, the method works well for cherries, peaches, apricots or any other juicy fruit. You can eat this healthy chia seed jam however you’d normally eat regular jam. It works great on toast, greek yogurt, oatmeal, or on top of waffles and pancakes. 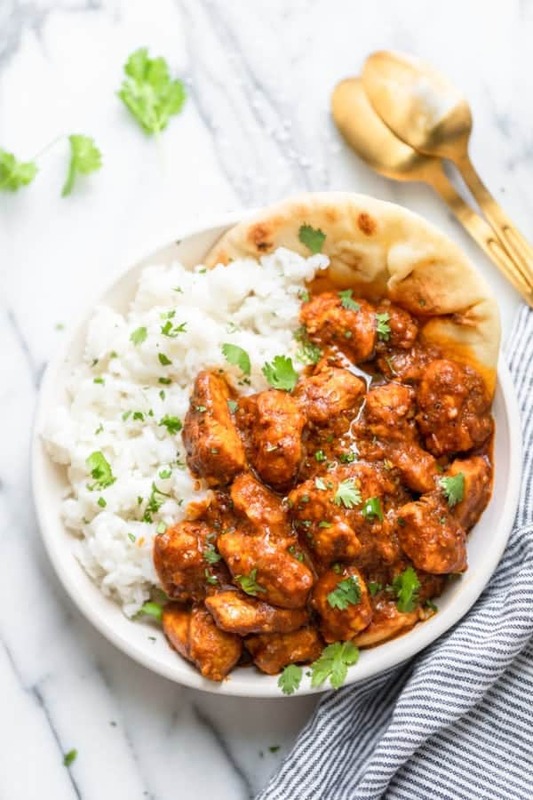 However you use it, it’s a feelgood easy nutritious recipe that is very versatile and fun to make. 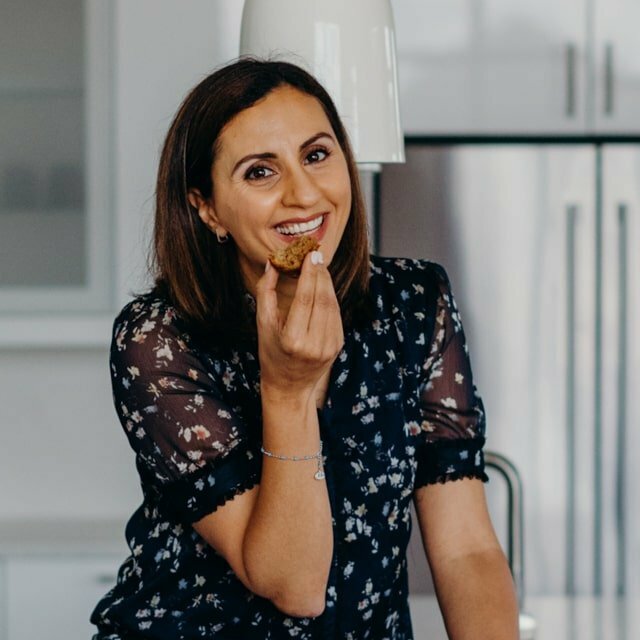 My favorite way to eat it is on toast with peanut butter – simple and perfect! 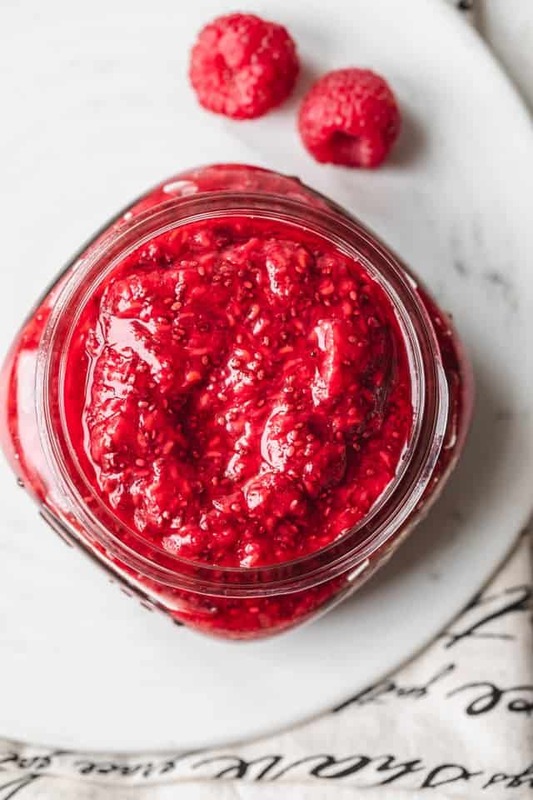 If you’ve tried this healthy-ish feel good Chia Seed Jam recipe or any other recipe on FeelGoodFoodie, then don’t forget to rate the recipe and leave me a comment below! I would love to hear about your experience making it. And if you snapped some shots of it, share it with me on Instagram so I can repost on my stories! In a medium saucepan over medium heat, add the raspberries and cook until they start to break down, stirring and mashing frequently, about 10 minutes. Turn the heat to low, stir in the maple syrup, lemon juice and vanilla extract. Then stir in the chia seeds and turn off the heat. Serve immediately, or transfer the jam to a jar and store in the fridge for up to 2 weeks. Storage: Store any leftovers in an airtight container. The chia jam will last about 10 days in the fridge. I've tried freezing it, and it doesn't freeze well unfortunately and separates into a funky mess. Sourcing: You can find chia seeds in all supermarkets, often located in the baking aisle or with breakfast foods or flours. 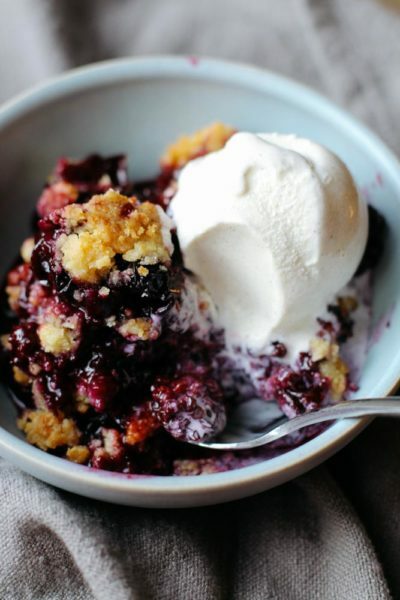 Instead of raspberries, you can use other berries like strawberries, blackberries or blueberries with no changes to the recipe. 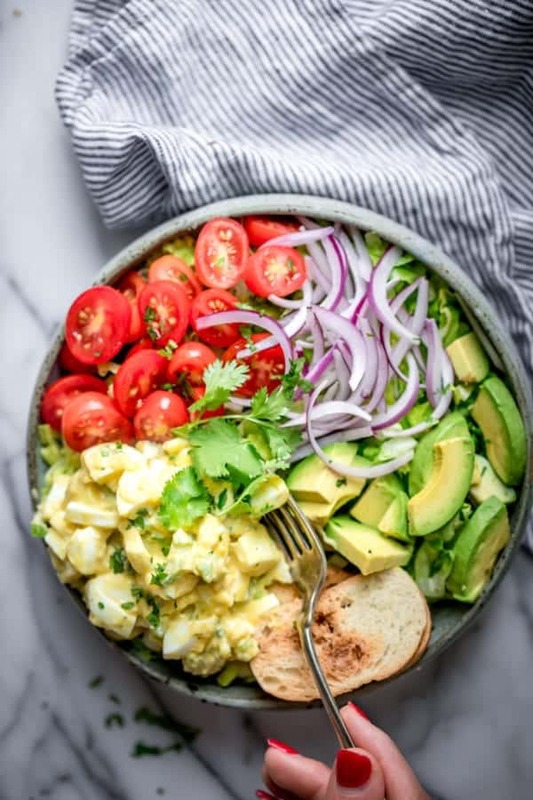 If you want to experiment with other fruits, you may need to add water since other fruits like peaches, cherries or apricots, for example, may not hold as much water as berries. To make it vegan, substitute the honey for maple syrup, agave syrup or coconut sugar. To make it sugar-free, leave out the sweetener but also leave out the lemon juice. I would only recommend this if you have overly sweet berries to start though. Nutrition: Please note that the nutrition label provided is an estimate based on an online nutrition calculator. It will vary based on the specific ingredients you use. This information should not be considered a substitute for a professional nutritionist’s advice. The nutrition value is for for 1/8 of the jam and does not include the toast or peanut butter. I made the chia seed jam. Had it with peanut butter toast, and guess what? This has been my daily breakfast ever since. Hi , I have loved this chia berries jam. Will definitely give a try out to it! However I really wanted to know if incase we decide to sell these homemade jams, customers wouldnt want it to last for only 10 days, so then how do we increase its lifespan? Thank you so much! I think you can actually get away with it for 2-3 weeks I’m reading. I only tested mine for 10 days though. I’m not sure unfortunately how to preserve it longer than that.